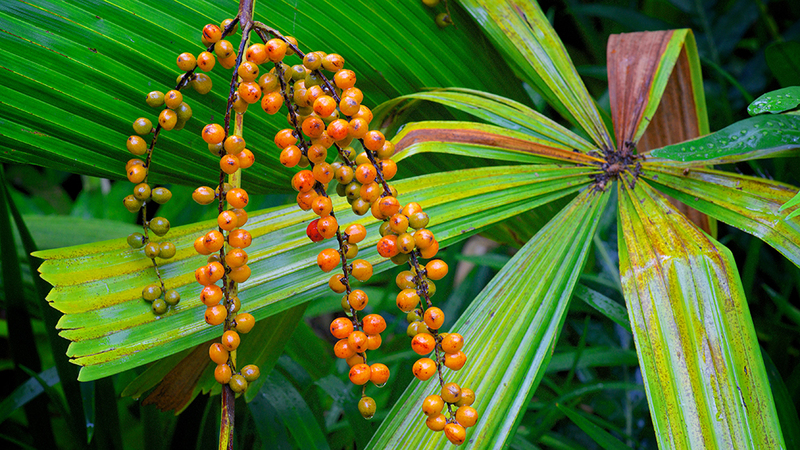 With over 2,740 individual palm trees, featuring more than 400 taxonomic species and 125 unique genera, with nearly 900 different horticultural varieties, W.S. 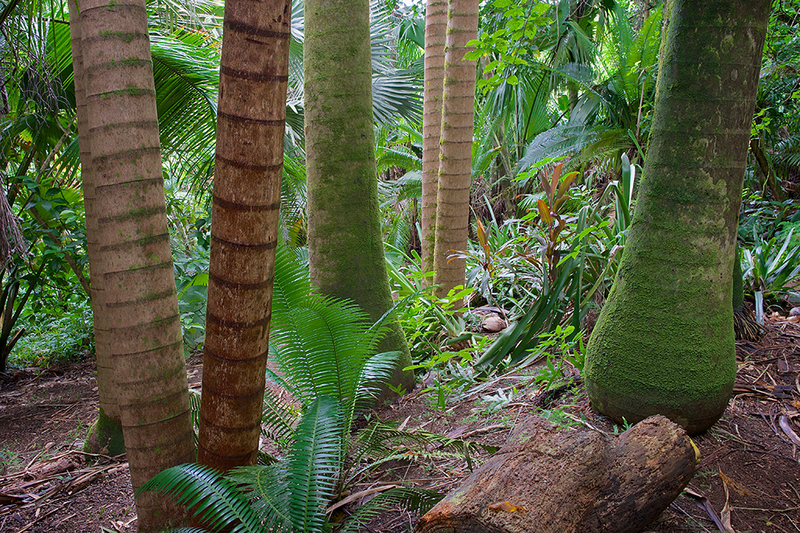 Merwin’s garden is recognized as one of the largest and most extensive palm collections known to exist on earth. In 1977, W.S. 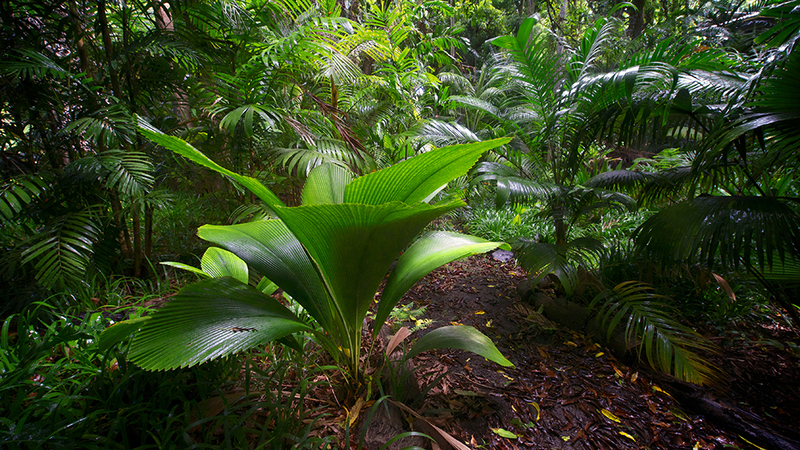 Merwin purchased a plot of former agricultural land in Pe’ahi Valley on the north shore of Maui, Hawaii with the intention of restoring native Hawaiian ecology. 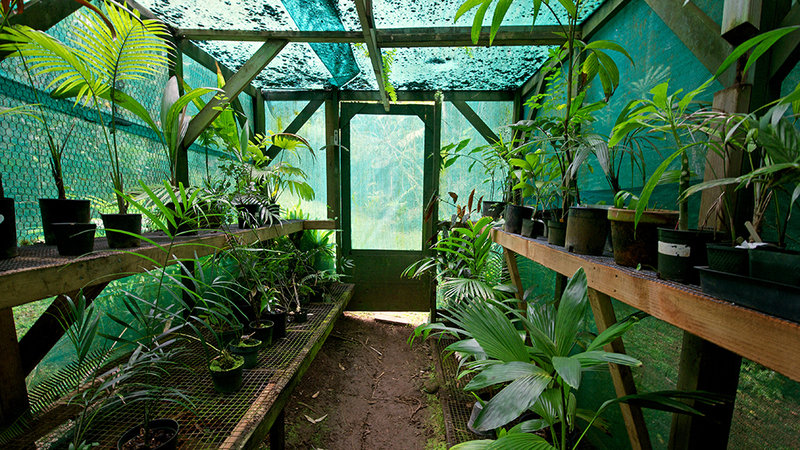 Over the span of over forty years, Merwin built an ecologically conscious home for himself and his wife Paula and planted more than 3,000 trees representing over 400 species of endemic, indigenous and endangered palms. He transformed a place that was once considered “wasteland” into a lush 19-acre tropical garden that is now considered one of the most important collections of palms in the world, and a living work of art. Merwin began to fulfill his dream the day he signed the escrow papers in 1977 and planted the first saplings along the road. He continued to plant trees every day since, nurturing young palms with the help of compost, manure and buckets of dishwater hand-carried from the sink until the plants could fend for themselves and thrive on rainwater alone. The Merwins also survived on rainwater, which is held in cisterns around the property. The water is “pumped” by gravity and filtered by charcoal, sand and coral for use in the home. 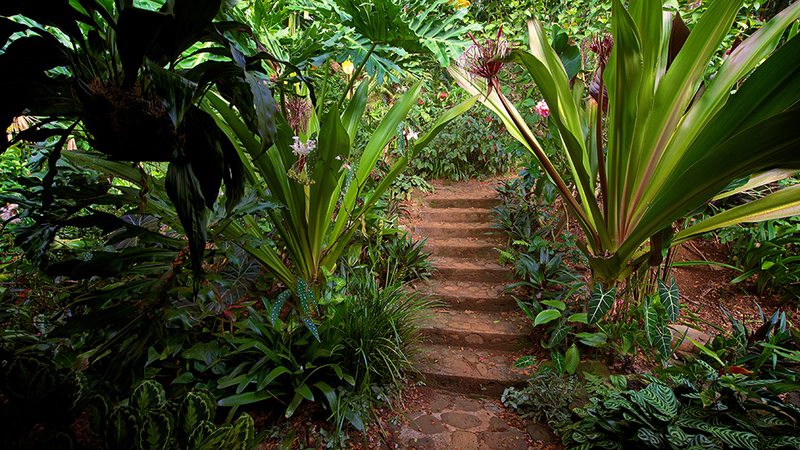 In fact, every aspect of the home and the garden reflects Merwin’s ideas and feelings about nature and art. The property is as close to self-sustaining as the Merwins could make it. While preparing the site of the house, Merwin wanted to disturb the land as little as possible so no heavy machinery was used. The only cement—and Merwin tried to use it as little as possible—is in three cisterns, the floor of a small tool room, and the footings of the house. For 25 years, electricity has come from solar energy. The shade of the tree canopy keeps the house naturally cool. 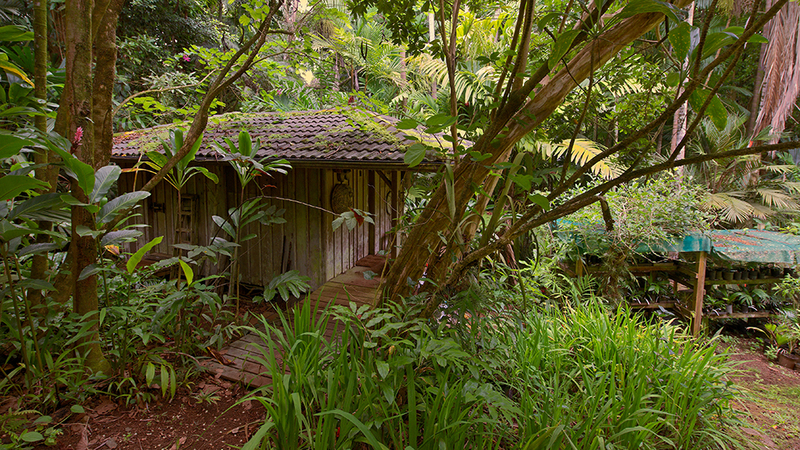 In 2010, William and Paula Merwin established The Merwin Conservancy, which will safeguard the land and home in perpetuity, and in 2014 the land became permanently protected by a Deed of Conservation Easement held by the Hawaiian Islands Land Trust.